Home Lifestyle Gardening Passionfruit – making it happen! Passionfruit – making it happen! There are some who are passionate about gardening and some who are no strangers to fruit. This week, SANDRA (Sandy) JOHNSON from McGregor’s offers us the best of both worlds, as she explains. 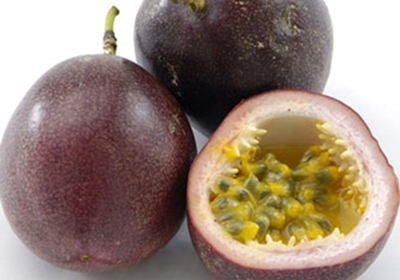 Passionfruit is one of my favourite fruits but they can be quite expensive. However, armed with a few tips and a little perseverance, Kiwi gardeners can enjoy the fruits of their labour without digging too deep into their wallets. The most popular varieties of passionfruit amongst home gardener is the black passionfruit (Passiflora edulis). The best time to plant new vines is from October through until January because, once the danger of frosts has passed, they will have time to establish themselves before winter. These plants are usually available in garden centres during this time. Passionfruit are subtropical fruit that grow readily in warm parts of the garden. They like lots of sun but will tolerate some shade during the day. Free-draining soil is essential, heavy, water-logged soils like clay are not suitable as the roots will become water-logged in winter, causing rot to set in. While an established vine will withstand some frost, they won’t survive successive severe frosts, nor do they like long cold winters. So, consider planting new vines against a wall or fence, to provide reflected heat, protection from frosty winds and support at the same time. Because passionfruit vines are heavy croppers, they require a lot of food so, when planting, prepare the soil by digging in plenty of compost and add a good couple of handfuls of blood and bone around the root zone. During the year, additional fertilising is necessary; passionfruit require plenty of food, so don’t be stingy! Any prepared citrus fertiliser will do the trick, with one application in August and another during the middle of summer. Watering the vines during the drier months is important otherwise fruit will often shrivel on the vine. Mulching will also benefit the plant, not only by adding nutrients to the soil and suppressing weeds, but it by keeping the root run cool and moist in summer. When applying the mulch, be sure to keep it away from the vine stem as this will cause the bark to rot. To train the vines, choose 4-5 strong laterals – the primary stems from which the secondary fruiting arms grow. These main laterals need to be trained upwards through the trellis or support wires. Although some gardeners choose not to prune passionfruit vines, because fruit is only borne on new season growth, pruning can increase production. Without pruning, the vine can become a dense, tangled mass of shoots – many of which will be non-fruiting – and more likely to harbour pest and diseases. Pruning should be conducted after harvest. First, remove any dead, diseased or spindly growth, then cut back the main laterals by one third to encourage the growth of new shoots. As with any plant, the first line of defence against pests and diseases is providing healthy growing conditions. However, because passionfruit are susceptible to a few problems, they will require some spraying to stay in top shape. Because pyrethrum is harmful to bees, spray in the early evening when they have gone home. Also, be sure to spray the undersides of leaves where bugs like to hide and lay eggs. Fruit is usually produced approximately 15 months to two years after planting and from February through to September each year thereafter. The vines don’t last forever, reaching peak production within roughly five years they will then begin to decline. Therefore, it pays to plant a replacement vine a few years after the first, to ensure an ongoing supply of this luscious fruit. Contributed by Sandra Johnson from Team McGregor’s. Previous articleKikuyu – get on the grass!